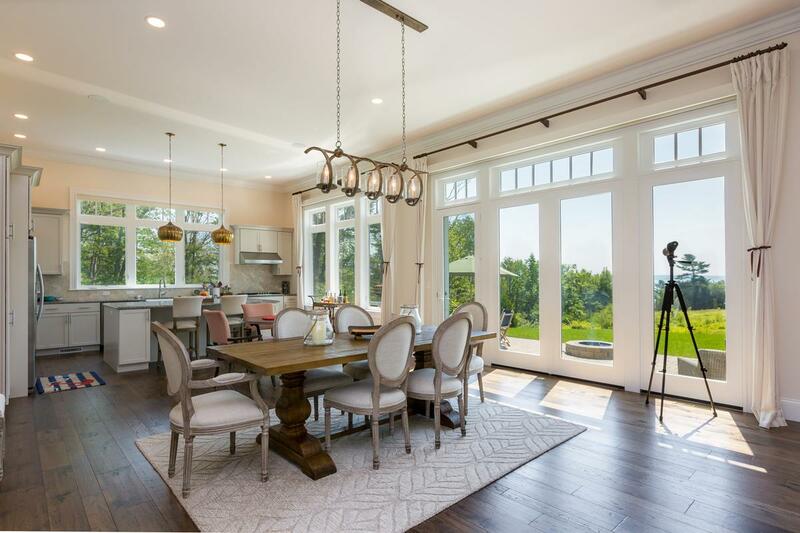 This exceptional custom home was built in 2017 on a 3.48-acre lot with unobstructed ocean views in the Cumberland Foreside area of Maine. 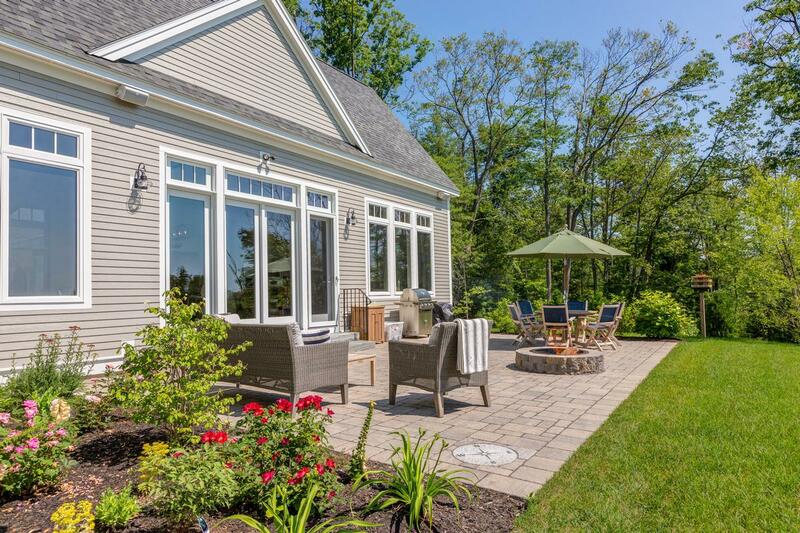 This pristine home was built with no detail overlooked and has a laidback and charming style. The home’s open floor plan has 12′ ceilings and 7.5′ Jen Wen storm proof windows is flooded with light. 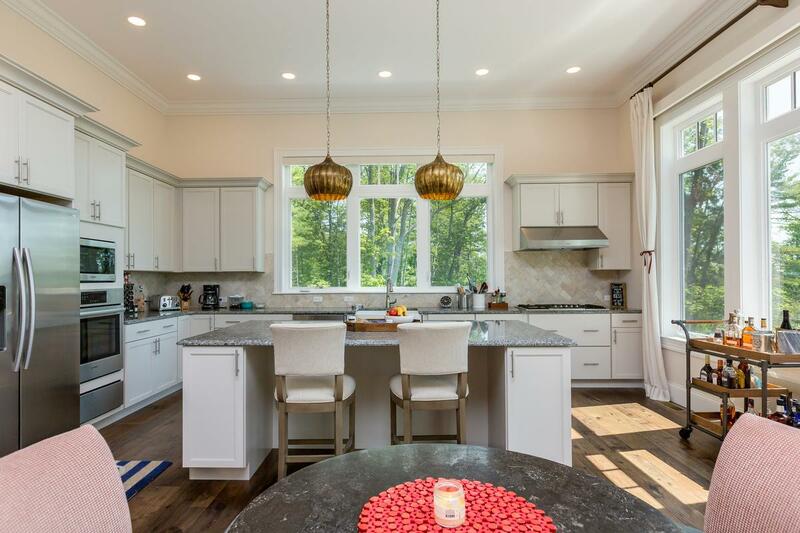 The spacious chef’s kitchen has a large island, top of the line cabinets and appliances. 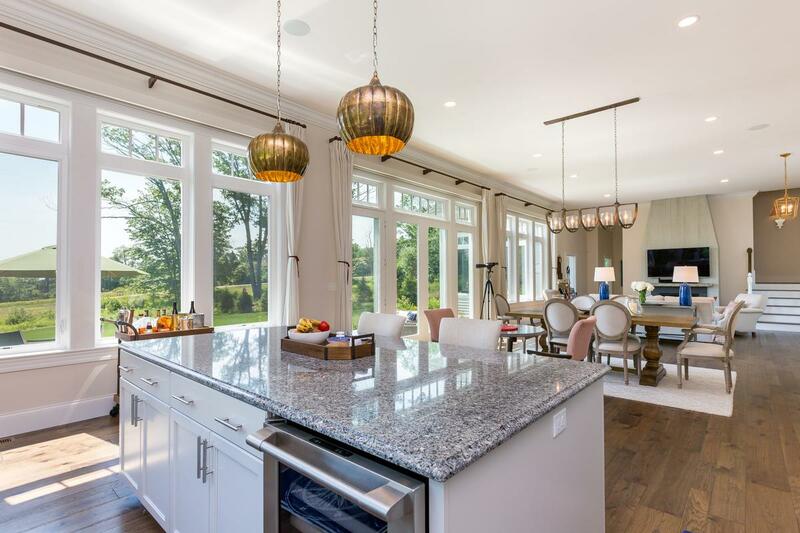 The kitchen has a great flow to the dining area then to the living room with gas fireplace – all with views across large patio and expansive lawn to Broad Cove. 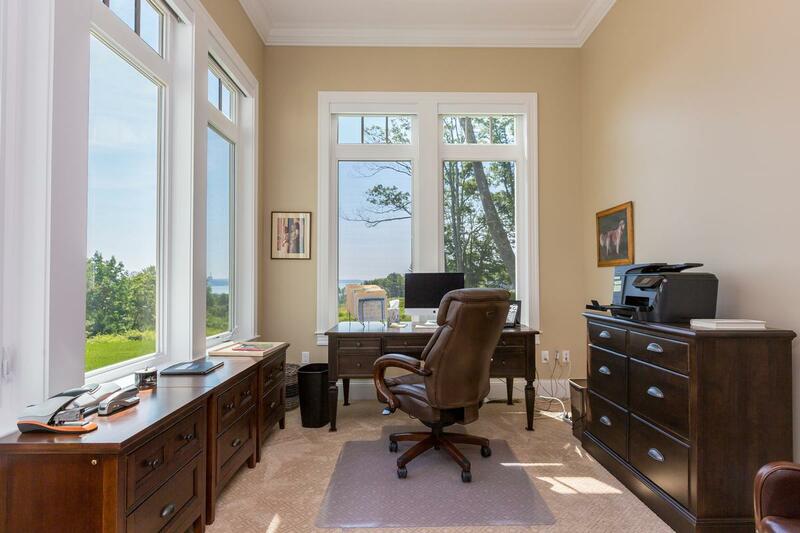 The private study has a beautiful view out to the water. A sumptuous master suite with patio and spa completes the first floor creating opportunity for single level living. Two second story bedrooms and bathroom with sitting area make comfortable space for guests and family. 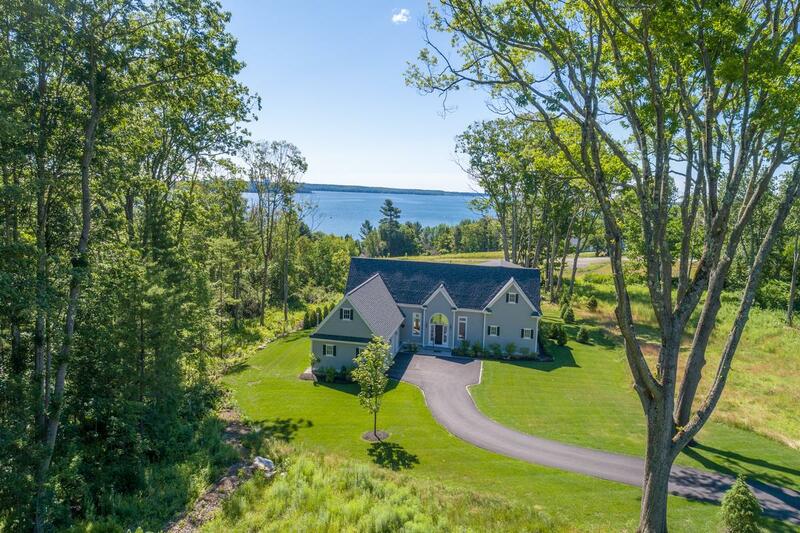 Relax and enjoy the water views from this virtually new home with maintenance free exterior. 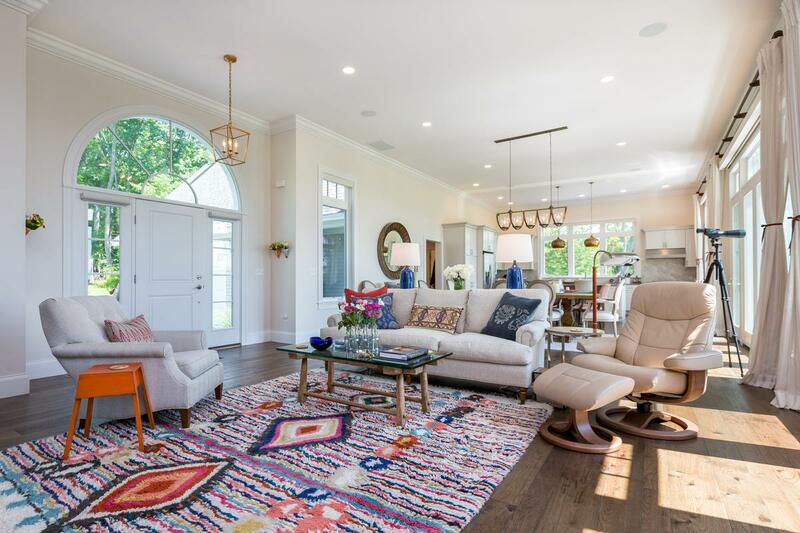 This home is listed for $1.95 million with Town & Shore Associates, an affiliate of Luxury Portfolio International.